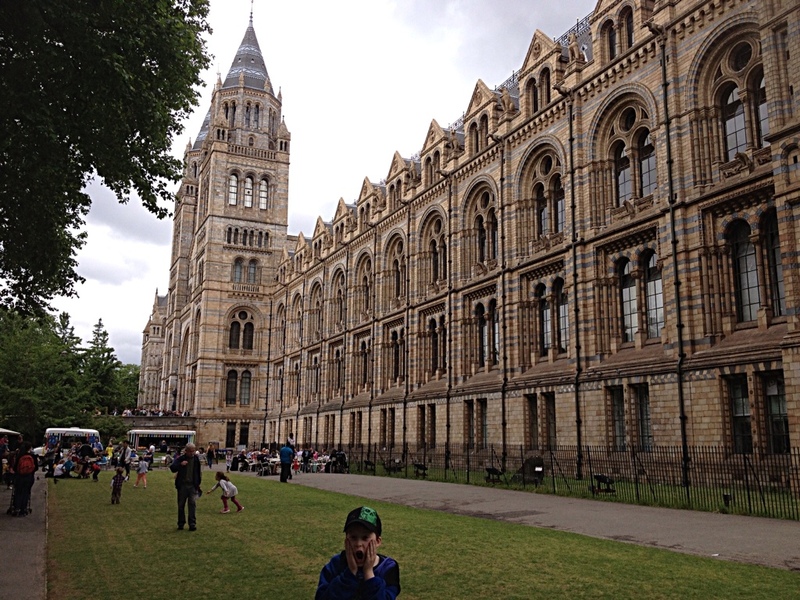 After lunch today we caught the Tube from Kings Cross Station to South Kensington and the Natural History Museum. I don't know how I managed to miss this on all of my visits, especially since it is right next door to the Victoria and Albert Museum, which I have visited. 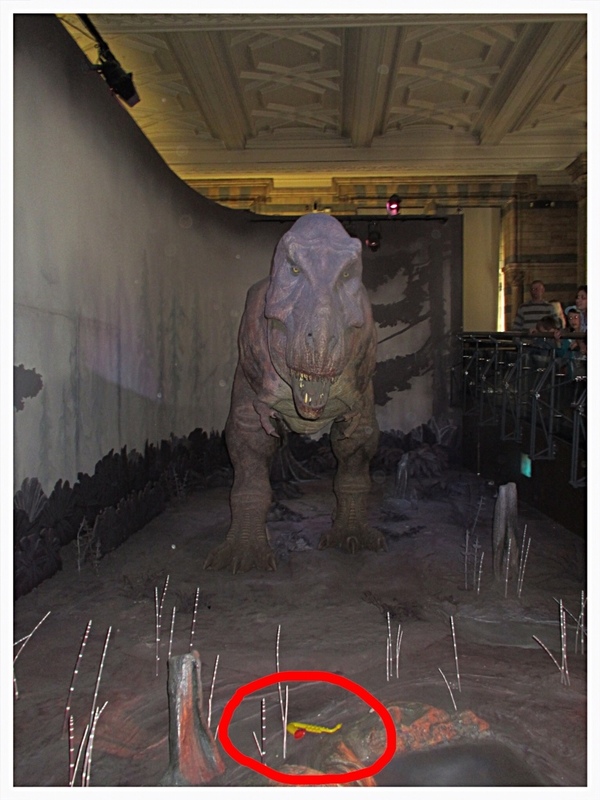 The Natural History Museum is WONDERFUL as so many of you told us. 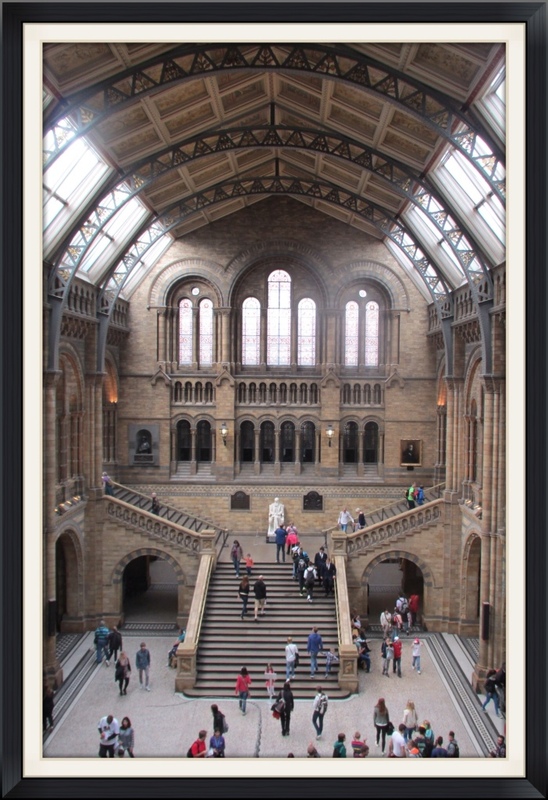 It is in a magnificent Victorian building, opened in 1881. The inside is just as spectacular as the outside, with huge vaulted ceilings, sweeping staircases, and bridges across the open space two or three stories high. Very Harry Potter! 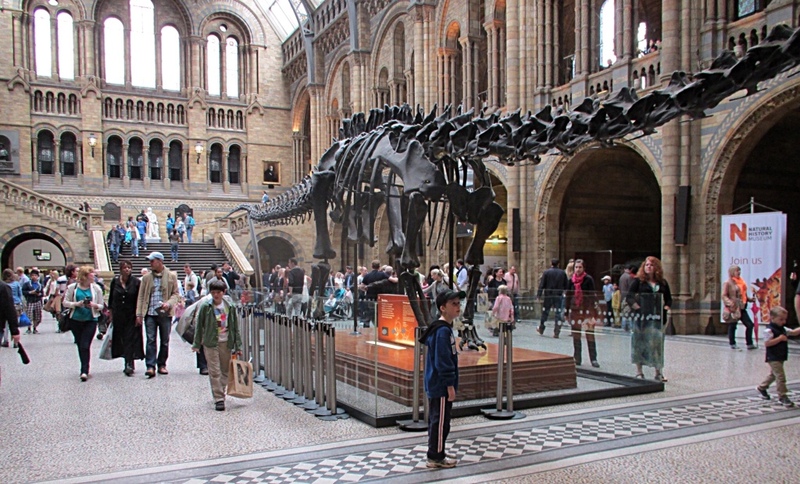 The foyer is dominated by a large dinosaur skeleton at one end and a statue of Charles Darwin at the other end. The Museum is testament to the influence of Darwin's theory of evolution and natural historians' zeal for collecting (interestingly, I didn't see any mention of Alfred Russell Wallace who developed a theory of evolution simultaneously but independent of Darwin; you can read all about it in Song of the Dodo: Island Biogeography in an Age of Extinction by David Quammen; I highly recommend it). One room had display case after display case of rocks and minerals from all around the world (and from outside this world in the form of meteorites), all lovingly catalogued. 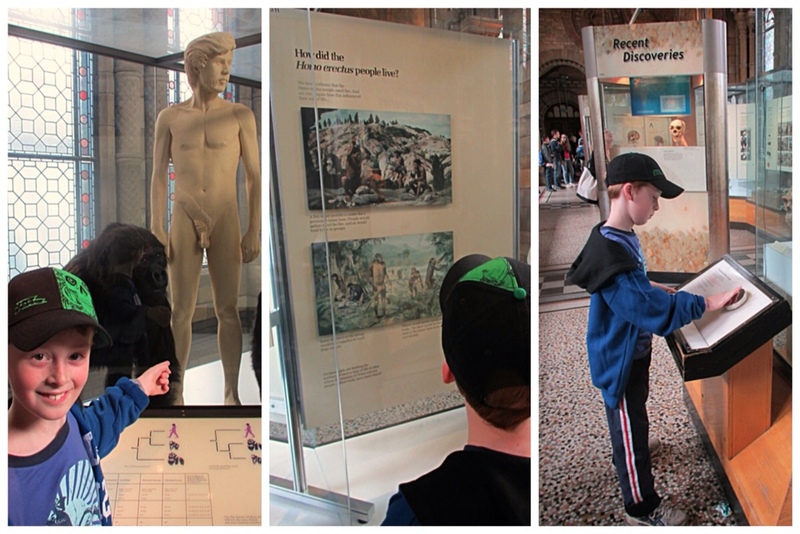 Oliver's favourite part was a display on the evolution of man and our nearest animal relatives. 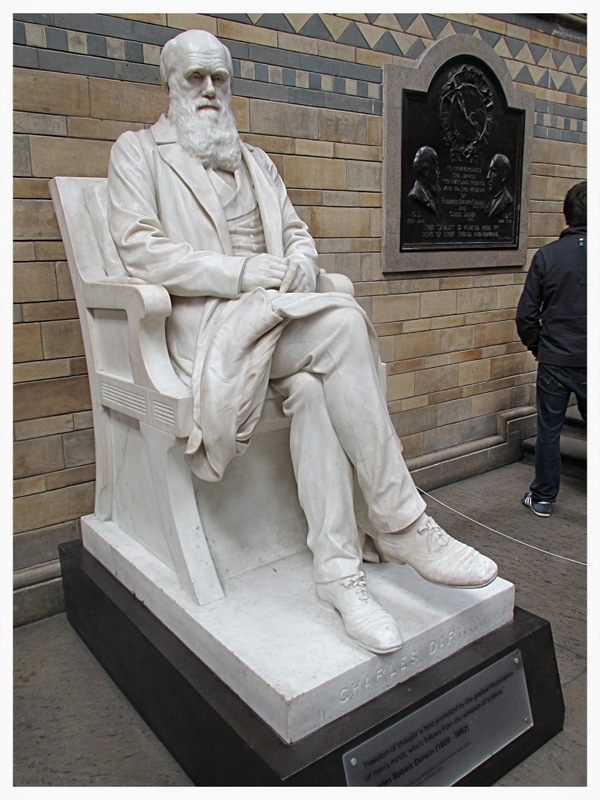 He spent ages reading the displays and trying to work out if the evidence meant that we are more closely related to chimpanzees or to gorillas. Later we visited the dinosaur display. Oliver was especially taken with a massive diorama with an animatronic T-Rex that moved and roared. He thought it hilarious that a previous child visitor had lobbed a toy saxophone into the display so Oliver could say: “mum, look what has survived from the time of the dinosaurs … toy saxophones”! Both Oliver and I LOVED the Natural History Museum! 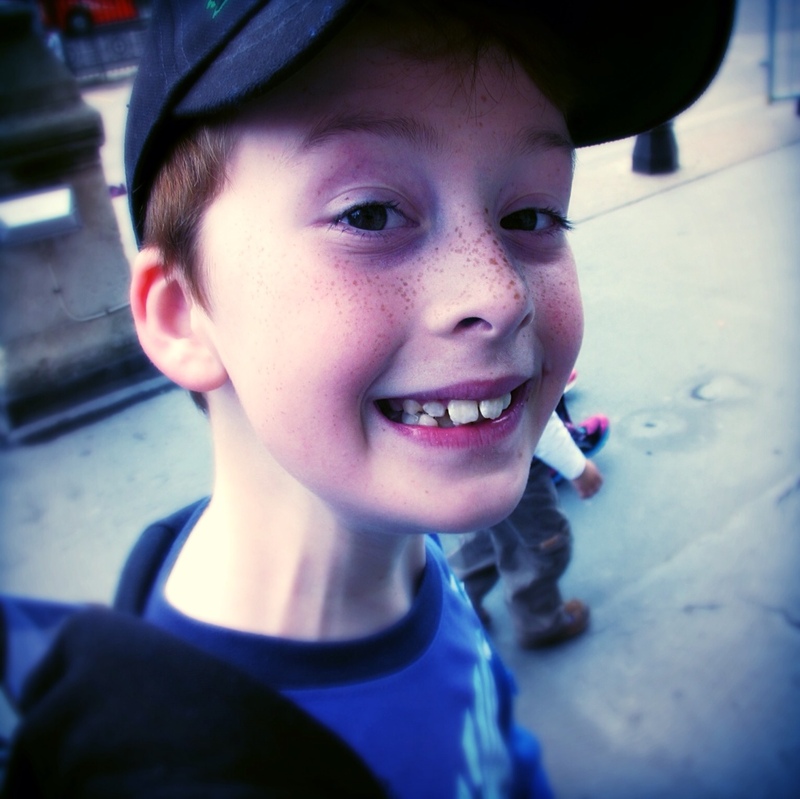 Tomorrow we are off to Windsor Castle and Legoland.